While traveling through Greece, it was the island of Santorini that absolutely captured my heart. 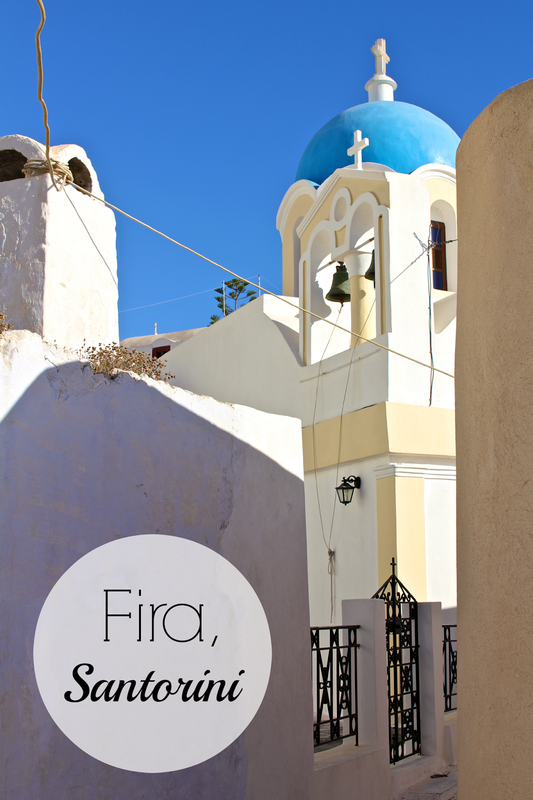 Though we spent most of our time exploring the village of Oía, we spent our nights in Fira because accommodations were a bit more affordable there. 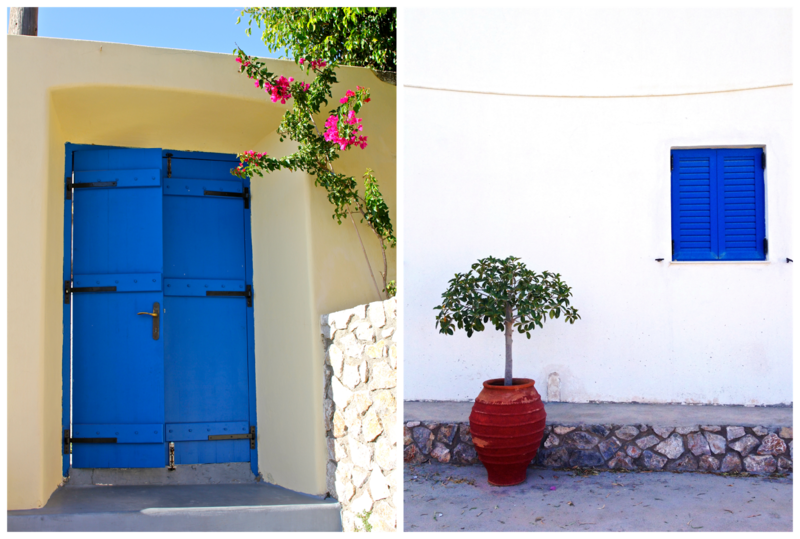 We stayed at the lovely Anatoli Hotel, where we were surrounded by picturesque Greek churches and sublime ocean views. When we weren't swimming or tanning by the pool, we ventured through the alleys that winded up towards the center of town. 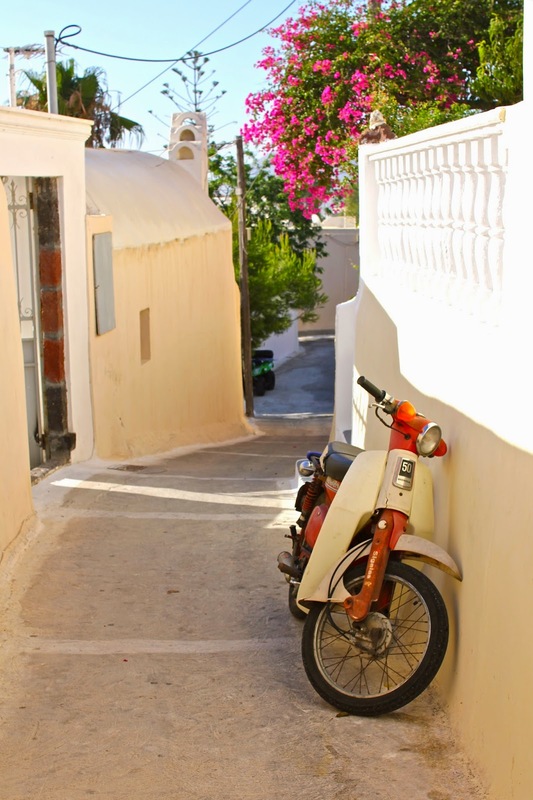 Although I wasn't a huge fan of downtown Fira, wandering through these hidden pathways gave Fira its charm. Truth be told, I'd give just about anything to be back in Fira laying out by the pool, eating gyros and admiring all of the unexpected pops of color. 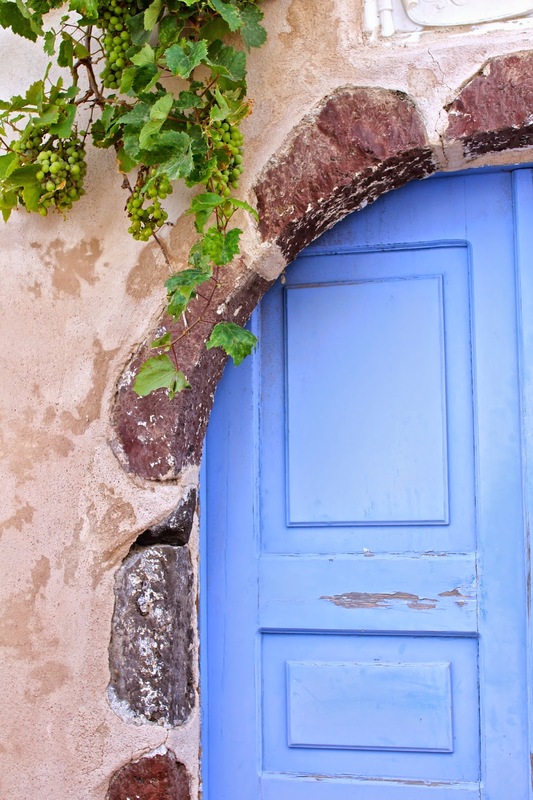 Santorini embodies paradise in almost every imaginable way. 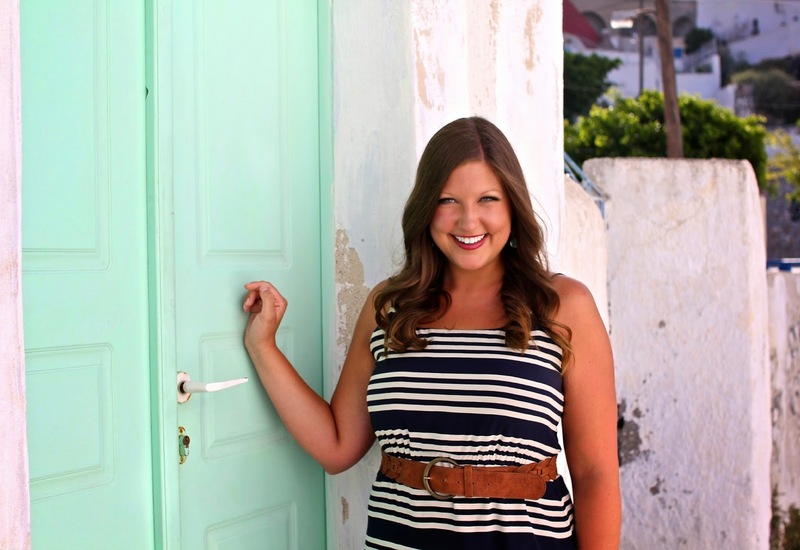 33 comments on "Snapshots of Fira"
Santorini is a place I have always wanted to visit! I'm hoping to get there on a cruise within the next few years. One of the most photographed places on the planet and I'm amazed how every time I see pics of Santorini, they each look unique and makes we want to go there ASAP! hello gorgeousness! sheesh. so many beautiful photos! I'm going on Sunday and absolutely cannot wait! Thanks for sharing your beautiful photos!! 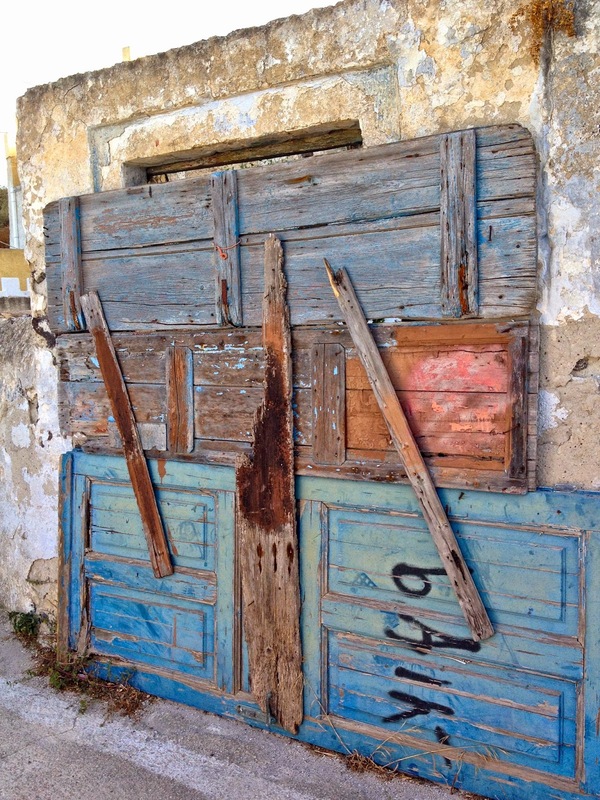 gosh i miss greece, your pictures are stunning ! Gorgeous photos! All those colours are so popping! And you two girls look like you're so happy to be there - which I can understand why! I wish I could be on a Greek island right now! These photos are wonderful! I really need to make a Greece vacation happen! How gorgeous! I have heard Santorini mentioned a few times! I think it must go on my list! Breathtaking photos! Want to visit Santorini so bad! You look so tan and pretty! Greece is really something else, the beauty of its landscapes (gasp)! You are lucky you got to enjoy it! Once again I am bowled over with your photos. Simply beautiful, the colors are so vivid you can't help but smile and dream. It's definitely one of the most beautiful places I've ever been to :) I hope you make it there soon! Definitely! My favorite part was all of the colorful doors. They make for such a stunning contrast against the light colored buildings! You are going to have such a great time! Santorini is so beautiful it hardly seems real. Safe travels! Thanks! I wish I were back on a Greek island too ;) I miss paradise! Thanks! I wish my photos did it justice! I think so too ;) It was by far my favorite place in Greece! Thank you! 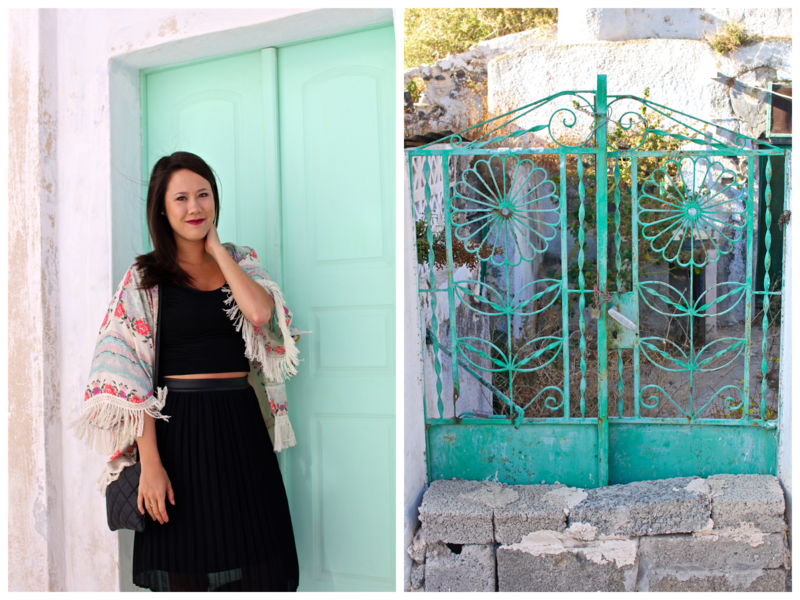 The island is definitely worth a visit - it was by far my favorite place in Greece! Thanks! :) My whole trip to Greece (especially Santorini) felt like a dream - I still can't believe that I saw it all in real life! It still seems too good to be true. It was by far the prettiest place I've ever visited! I want to go back already! Thank you! :) I'm trying to relive my trip through my photos because I already miss it so, so much!